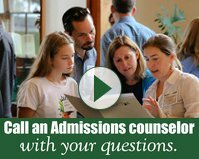 Tell me a little about your Proctor experience? I loved my experience at Proctor! I only attended during my 11th and 12th grade years, but my experiences made such an impression on my life and future. I was placed in the Eco dorm, Carriage House, my first year and it was such an amazing experience. A dorm mate I met there is now one of my best friends. Nelson Lebo was one of the dorm parents, and is one of the most amazing people I have ever met. His commitment to living a green lifestyle really had an impact on me. Robin Asbury, in the art department and on the cycling team, was also very influential. Her great inner strength was sometimes hidden in her quiet demeanor, but she would surprise you at times! I was on the equestrian club, freestyle snowboarding, and cycling teams. This was the first time that I had been on teams, but even though I competed in individual sports, I learned much about myself during this time. My experiences at Proctor helped me to grow and become independent. When did you first feel the urge to become an entrepreneur? Ever since I can remember I have had the urge to be an entrepreneur. When I was in elementary school I wanted to open a flower and natural beauty shop. When I moved to the Boston area after college I started working part time at a local clothing store in Harvard Square. The owners were in their late 20s and I was in awe that these two young women had created such a successful business. 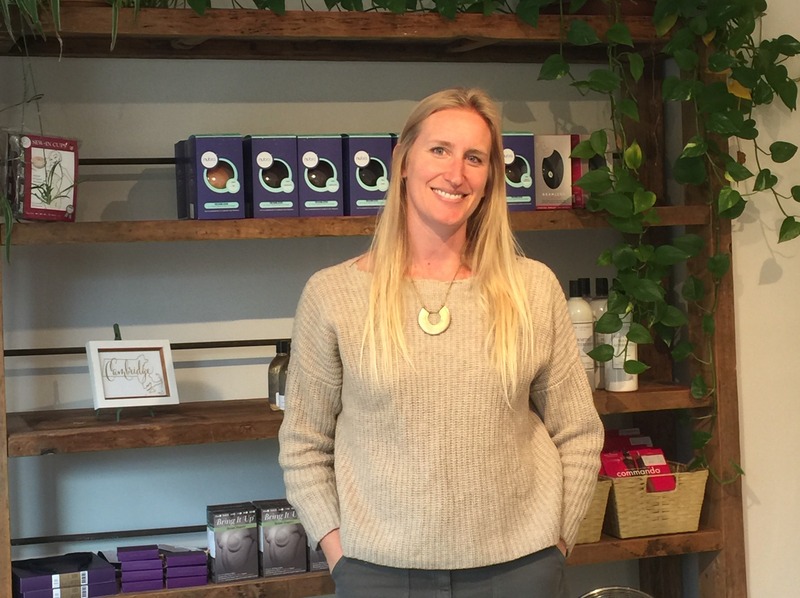 Seeing their example, I felt like running a boutique was something I could actually do. Tell me about the Forty Winks story? My business partner and I opened Forty Winks in April of 2010. We met working at the clothing store I mentioned above, and quickly became friends. We had a lot in common. I grew up in rural Vermont and she in rural Maine. We have a similar style, we worked really well together and it was clear that our strengths balanced each other. We decided in the Spring of 2008 that we wanted to open a lingerie store. We both had terrible experiences trying to find bras and wanted to create a place where we would want to shop. Our plan was to open a place where customers could come in for a fitting or just browse the racks with no pressure to be fit. We wanted to offer honest opinions and help customers with the same attentiveness we would give when helping a friend. Our plan worked and we've built a loyal following in the Boston area. Everyday we're lucky to help women find items that they love and feel really good in. It is more than retail; it can be a cathartic experience for a lot of women. Watching their demeanor change from nervousness or apprehension when they first come in to excitement and relief when they leave is so rewarding. We want everyone to leave feeling empowered and beautiful. Business grew very quickly from 2010 until 2015. We are still growing but not at the rate at which we did the first 5 years. We are always working to stay relevant by updating the store and redoing our website. There is never a dull moment! What advice would you give to current Proctor students (and younger alumni) about entrepreneurship? First, identify a need in the market. When my business partner and I were working in a dress shop customers would come in everyday asking if there was a bra store nearby. We identified a need and decided to jump on it. Don't wait for someone else to do it. I will say starting your own business is definitely worth it. It is a lot of work and it's hard to not bring your work home with you, but it is so rewarding. I love what I do and get to enjoy what we have built everyday. Having my own business allows me to focus on the things that I love to do and also challenges me to be creative with ways to improve and grow the business as well. You can instill your values into your company and feel good about what you do everyday. What lessons do you believe Proctor taught you about self-reliance and work ethic that have proven useful today? Before attending Proctor I lived at home and was attending Woodstock Union High school in Vermont. Living away from home gave me the opportunity to create my own study habits. The Learning Skills Program helped me so much with this. I was able to create healthy study habits on my own, which helped me so much in preparation for college. Living in a small community where students were passionate, kind, and helpful was such a great experience. 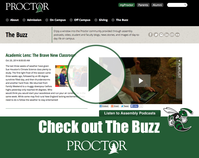 Proctor instilled great values, including caring for others, oneself, and the environment. All things that I am able to instill in my personal life and at work. I feel so lucky to have the opportunity to make these decisions with my own business, but know that our success as a business is way more than luck! My time at Proctor contributed to the foundation of this confidence and passion that I have to this day.